Underground Airlines: Did Slavery Really End? Sometimes a novel really hits me in the gut. That is the case with Underground Airlines by Ben H. Winters. This novel is disturbing, wrenching, powerful, and so terribly, terribly on-target. Winters has written an alternate history that is not really alternate at all. It is the 21st century United States of our reality thinly-disguised as from an alternate reality. In the alternate history of Underground Airlines, Lincoln was assassinated in Indiana as he traveled East to his inauguration in 1861. In order to prevent the Civil War, Congress agreed to the 18th Amendment which made slavery legal forever (or for as long as those states chose) in the then-current slave states. No other states could become slave states. Further, the Federal government, using the Federal Marshals, would be in charge of finding, capturing, and returning escaped slaves to their owners. The Federal government would also monitor all slave operations to make sure that basic, minimum standards of care were maintained for the slaves. Winters does an excellent job of weaving historical events in our reality of the past 150 years into the alternate reality. In the alternate 21st century, only four states remain slave states: Carolina (North and South have joined into one state), Alabama, Mississippi, and Louisiana. These states are fenced off from the rest of the US and have heavily-guarded entry/exit posts. Due to pressure from abolitionists in the non-slave states, companies in the slave states cannot sell directly to non-slave states or most other countries. However, holding companies with complex corporate structures manage to hide the ways in which they and their customers benefit from slave labor. The One-Drop Rule has mutated into a precisely-delineated color chart with scores of skin-color shades marking an individual as “Black” and, therefore, suspected of being a slave, escaped slave, or, at best, a lesser form of human. The protagonist in the novel is Victor, a former slave who has been coerced into working for the Marshals as a slave catcher. His job is to hunt down escaped slaves and then notify the Marshals who will capture the individual in order to return him or her to the owner. The story begins with Victor being given a case which feels ‘off’. I won’t give any spoilers because I hope you will read the book. The existence of slavery and the color chart prevents anyone who is not lightly-pigmented from being treated well and equally in the non-slave states, even if that person and his/her ancestors have been free for generations. Those deemed Black are subject to intense scrutiny, must live in segregated neighborhoods that lack basic amenities, and must defer to the superior White individuals. Even white abolitionists involved in the Underground Airlines view themselves as superior to non-whites. In our own 21st century reality, many believe that slavery ended long ago, but that is only because they do not know our history of Post-Reconstruction share-cropping, which was slavery by another name. They do not understand that the Jim Crow laws served to keep African Americans in an enforced, lower status with limited rights. Anyone who was viewed as ‘getting uppity’ could be lynched. They do not see that racial profiling gives law enforcement and armed whites in stand-your-ground states almost unlimited freedom to treat and kill African Americans as if they were property rather than citizens with equal rights. They are unaware of the vast number of goods sold in the U.S. that are farmed or manufactured by prison labor. 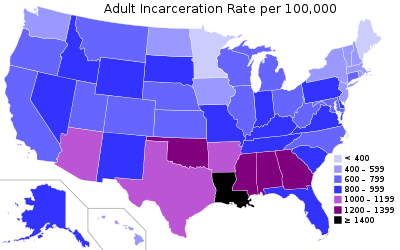 Nor that the U.S. has the world’s largest prison population; a prison population that includes a disproportionate number of African Americans, especially in the former slave states. Underground Airlines makes it very clear that Black lives do not matter except as bodies to produce goods to enrich their owners. How much does that alternate reality really differ from our own? For those who wish to live in a reality where there is true equality and where Black Lives Matter as much as White lives, I suggest carefully reading this policy platform in order to consider how you can support it.